Happy animal loving housesitter and very tidy as well! Want to connect with Teresa? 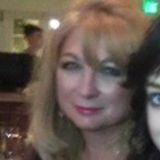 58 year old female retired after 32 years of acute care hospital work looking for House Sitting jobs..... children are grown up and live all over, I am single and plan on staying that way. I adore animals .Sadly and heart crushing , I recently lost my loving adorable kitty who snuggled in my arms every night.. Don't ask I will cry. I still cry about my dogs a big lovable boy who slept in bed with me and a little Pomeranian who never wore out. I used to play hide and seek with the cat and the dogs we loved it! I cant bare to loose another pet, so House Sitting with animals is the closest thing without so much pain. I will keep your home clean and your animals happy which makes me VERY happy. I have lots of friends I have pet and house sat for references. I have a great car for animals to ride in if they like rides. I am trustworthy because there is nothing I need or want for. I have had a home and plenty of stuff for 3 lifetimes, unencumbered and free is how I like to be..... you would like to chat call me or text. I can provide numbers for references. I have never ever been arrested and plan to keep it that way. I have had a FBI background check in the past absolutely clean. I did childcare for military Airforce families that would go TDY. That's why the FBI background check. Anything else, just ask. I live in California and I go between my brothers place in San Carlos and my daughter in Monterrey,. I have driven across the U.S. many times so I can travel. For Hire: Your House, Pets, and Plants are Safe with Me. Writer looking to care for your home while getting some writing done!